Posted by Ali Kane on Monday, February 11th, 2019 at 10:01am. The final countdown for the Miami International Boat Show is just days away from one of the world’s largest and greatest boat shows of the year. Thursday, February 14th is the opening day for more than 3000 boats and yachts on display both in the water and on land. The show features thousands of the newest and best sailboats, powerboats, electronics, marine accessories, demonstrations, food and beverages, and engines from more than 2000 manufactures and vendors. At the show this upcoming weekend, there will be everything from personal watercrafts, performance boats, sport fishers, and mega yachts for you to come onboard and take a look at. All boats and yachts are available to climb onboard unless otherwise noted. 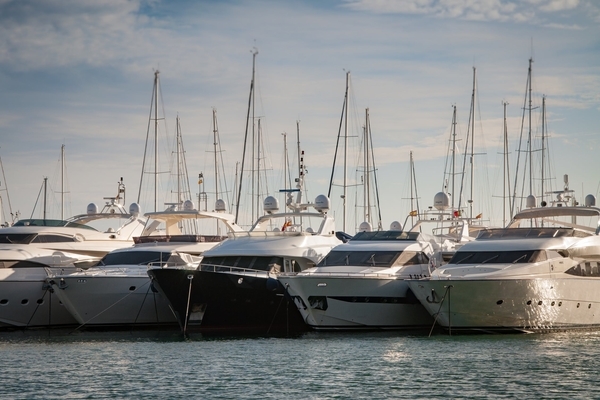 The popular boat show takes place in two locations in South Florida, at the Miami Marine Stadium and Basin and the Miamarina at Bayside. If you’re looking for sailboats, the Miamarina at Bayside is strictly reserved for sailboats and all sailing accessories and gear, and even catamarans. Tickets are on sale now for the show. Thursday’s tickets are Premier Day tickets and are $40 dollars per person and include a sneak peak, and opening day admission to be the first to experience the show. Adult tickets throughout the weekend are $25 dollars per person for ages 13 and older. Children 12 and under are free with a paid accompanying adult. Two Day and Five Days tickets and other ticket options are also available if you plan on spending more time or participating in any events at the boat show. Click here for tickets. The Miami Marine Stadium Park and Basin is located at 3501 Rickenbacker Causeway in Miami. Parking will be available at several parking areas nearby with shuttles services going to and from the boat show. For more information, visit their website.